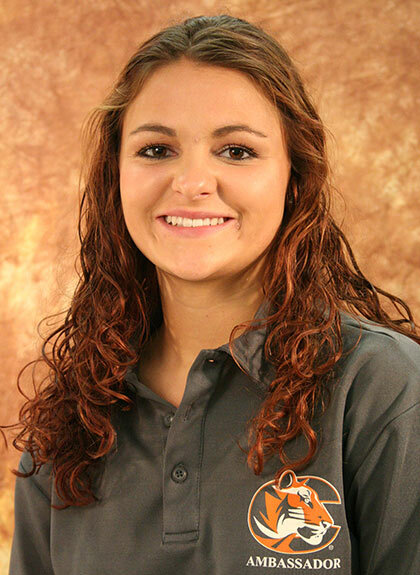 Cowley College sophomore Kyndal Dutton was recently named a Phi Theta Kappa Coca-Cola New Century Scholar and will have an opportunity to represent the state of Kansas at the annual Presidents Breakfast at the American Association of Community Colleges Convention held April 22-25 in New Orleans, LA. Dutton received the honor by receiving the highest All-USA Community College Academic Team application score in the state. The program annually recognizes 52 Scholars with scholarships of $2,000 each, totaling $104,000 in awards. Dutton is one of the 52 that was chosen out of more than 1,800 applications. Thanks to Dutton’s accomplishment Cowley College’s Phi Theta Kappa organization will also receive special recognition at the American Association of Community Colleges Convention. Along with her involvement in PTK, the sophomore pre-medicine major was a member of the women’s soccer and dance teams at Cowley, is a Cowley Tutor, and student ambassador. She has accumulated a 4.0 grade point average and is a member of the President’s Honor Roll. To be eligible for this program, students must submit an application for the All-USA Community College Academic Team and be selected as a nominee by their college (her endorsement was Deborah Layton). The application process opens in September and applications are due in early December each year. An independent team of judges reviews the applications to determine scholarship recipients. Phi Theta Kappa notifies students selected as team members in March each year. The Coca-Cola New Century Scholars program is sponsored by The Coca-Cola Foundation, The Coca-Cola Scholars Foundation, the American Association of Community Colleges and Phi Theta Kappa. Dutton is one of only two Cowley students to make it this far for this extremely competitive honor. The previous student chosen was Aubrey Lyman in 2010.